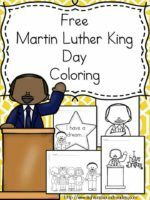 Help your students become more confident readers with this fun and interactive passage about Martin Luther King Jr. 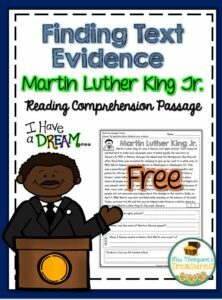 It is perfect for helping students build stamina and fluency while finding text evidence to prove their answers in the text. 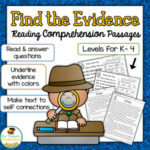 Use for morning work, guided reading groups, partner work, or even homework! 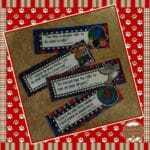 Grab the free passage HERE!